In this Halloween post we’ll look at ideas to decorate on Halloween; both those that you can buy and place in you home, and those that you can get your children or grandchildren involved with which you can than put out to enjoy and give them ownership and a lot of fun in making them. We’ll focus on Halloween decorating ideas you can do within the home in this article, and look at Halloween yard decorations another time. The ideas we’ll look at here are presented so you can get some inspiration that will fit into your unique situation. It’s surprising how simple ideas and tools can really generate some creative and compelling ideas that the entire family can enjoy. 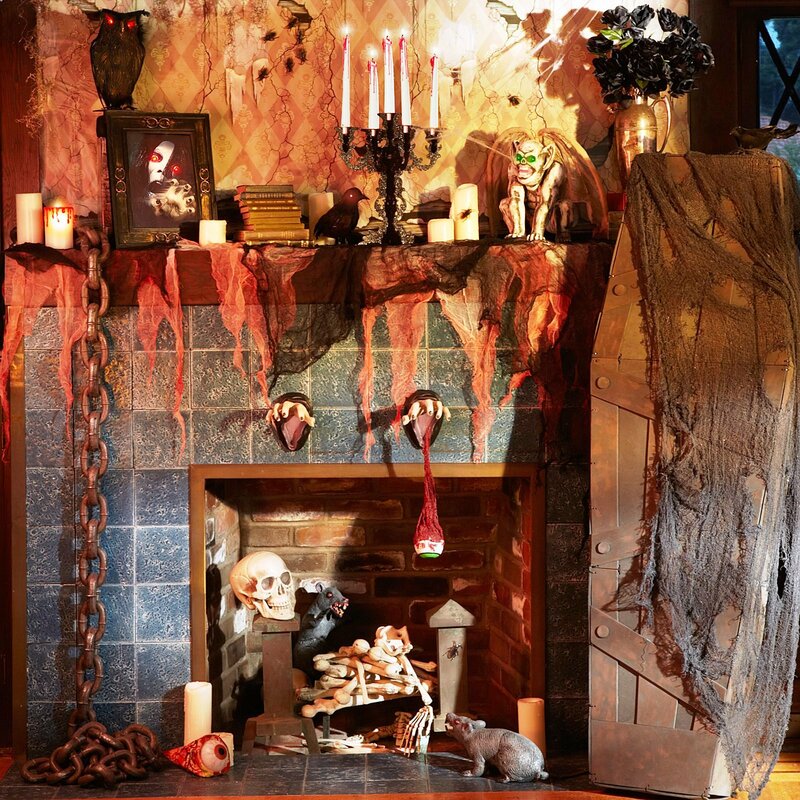 Here are a number of Halloween decorations ideas you can use in your own home and circumstances, and whether you copy or borrow from them, they’ll bring great memories and fun experiences you can remember over a lifetime.